Today I wanted to share the FabFitFun Spring 2019 box with you. 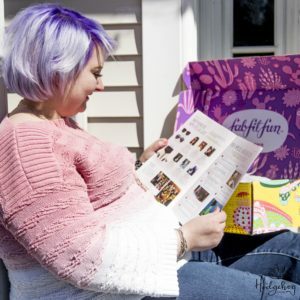 A few weeks ago FabFitFun reached out to me to see if I would be interested in reviewing it and sharing it with you; I had heard alot about them and I thought I would see what was inside. Well it was meant to be because the pretty yellow box I received was illustrated by my favorite artist Helen Dardik; do you remember that beautiful pink original painting Greg bought me for my birthday than was Helen Dardik! 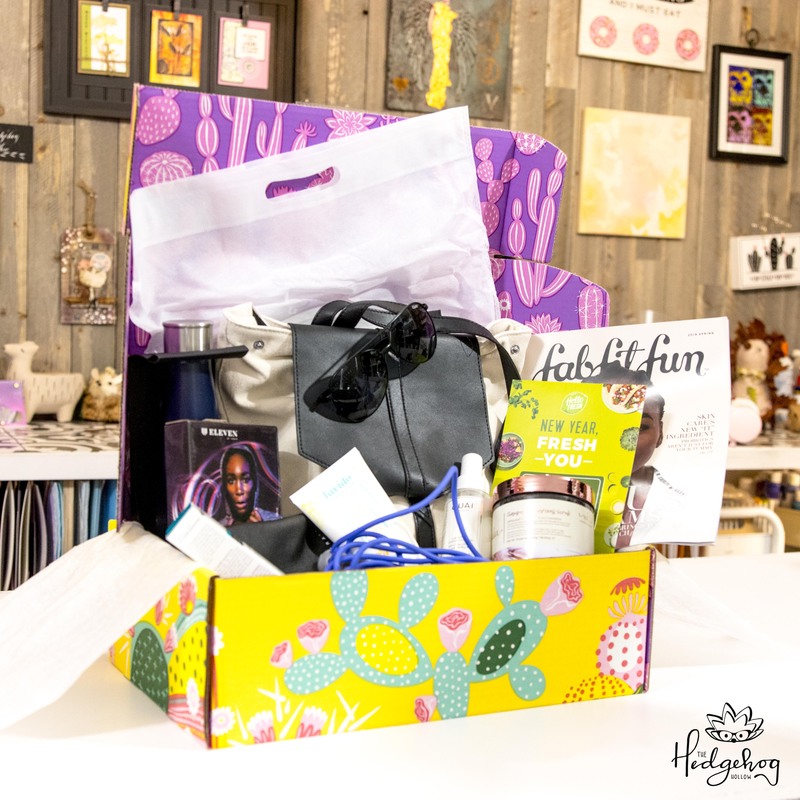 Just look at the box I got in the mail it contains over $200 in products for $49.99 (and you can get one too, plus an exclusive discount if you keep reading)….. The nicest part of this was just having some time to relax, there is a great lifestyle magazine with information about the products, interviews, and more money saving offers inside and I took ten minutes to relax on the porch, not something you would see me do very often! 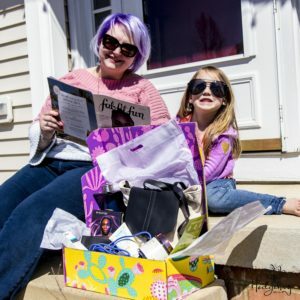 FabFitFun have also given me a discount for you all! You can get $10 off your first FabFitFun box by using code ’10ALEXANDRA’ at www.fabfitfun.com. 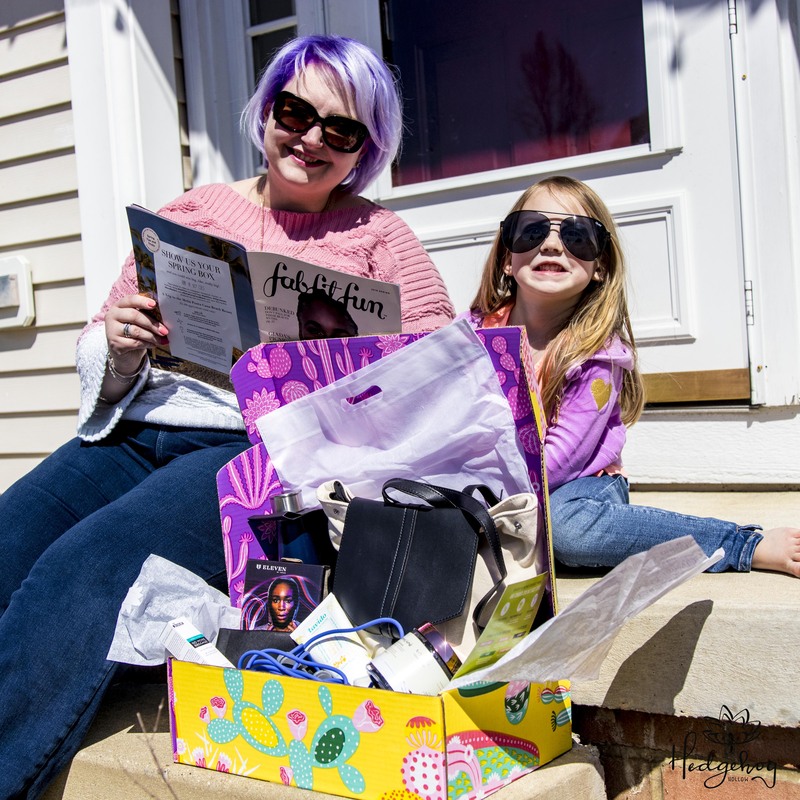 I hope you will give this a try, I am going to sign up because I loved getting all this in the mail of things just for me and everything is something I will really use and I love the idea I can customize some items too!